doesn’t that just sound delicious? i’d been snooping around on ree drummond’s web site in search of a perfect spring treat to make. thankfully this recipe for lemon lime pound cake was front and center in the desserts section, and with such a beautiful finish, there was no question i’d be making it in the near future. although i didn’t have a fancy pan like ree, i used my standard bundt pan, and the cake was still incredibly delicious. 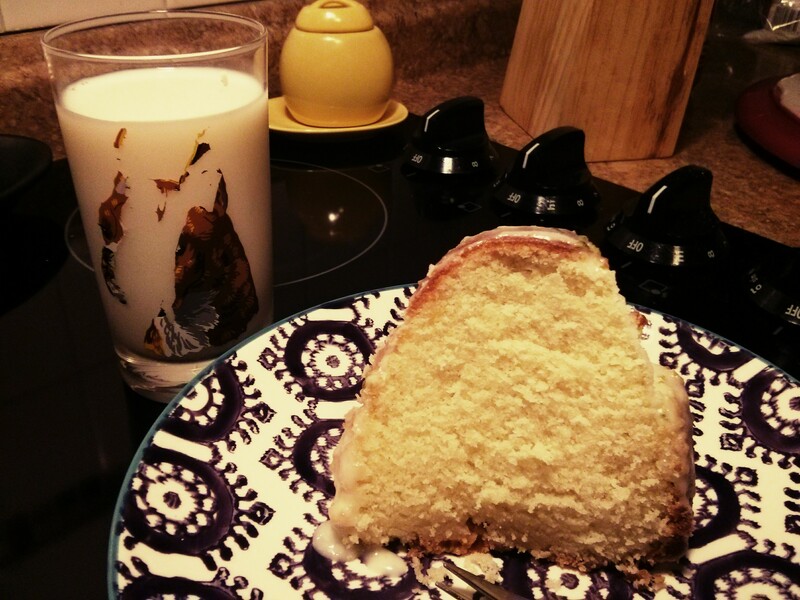 the pound cake is dense and moist and perfectly complemented by the zesty and sweet glaze. this cake was well-received at my office, so i highly recommend you get that grater and mixer out and get to work!